We are trying to identify the person in this surveillance photo. 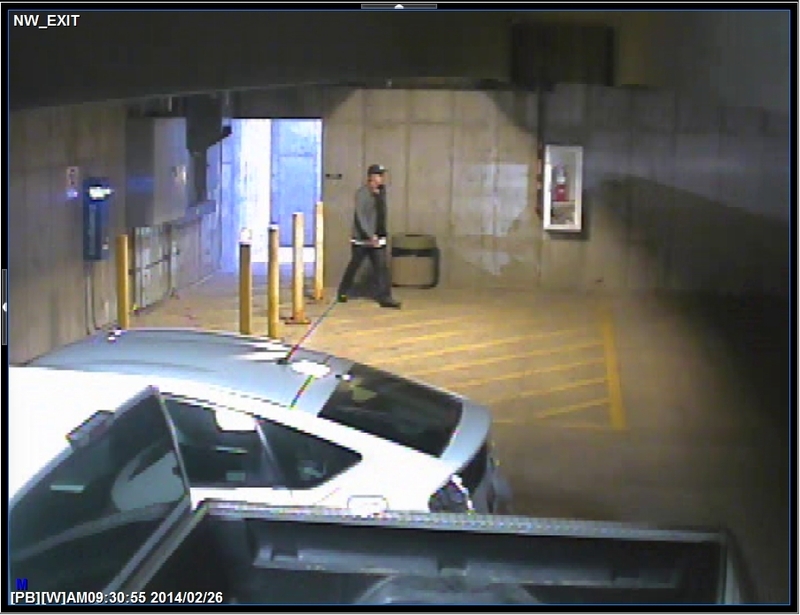 We believe he may have information about an auto theft that happened in the parking garage at the CMU Recreation Center on February 26, 2014. We realize it’s not a great shot of the person, but it’s the best we have right now. Hopefully someone will recognize his clothing or other features that may help us figure out who he is and locate him. If you have any information you can contact the Grand Junction Police Department at 970-242-6707. If you wish to remain anonymous you can call Crime Stoppers at 970-241-7867 or submit a tip online at www.241STOP.com. This entry was posted in GJPD News and tagged GJPD Patrol, grand junction police, Law Enforcement, Mesa County.